Olwen has worked with CAIS for the past 15 years. 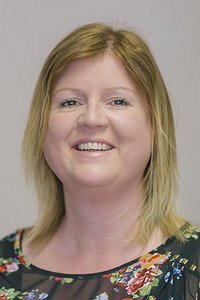 She has gained a Level 4 and Level 5 ILM Award in Leadership and Management, and has been House Manager at the DAWN Centre for the last 13 years. Olwen's role is very varied, and she has gained a wealth of knowledge in administration. She works closely with CAIS therapeutic services, which include our Therapeutic Interventions service, CAIS Counselling and Parabl.